Location, location, location! 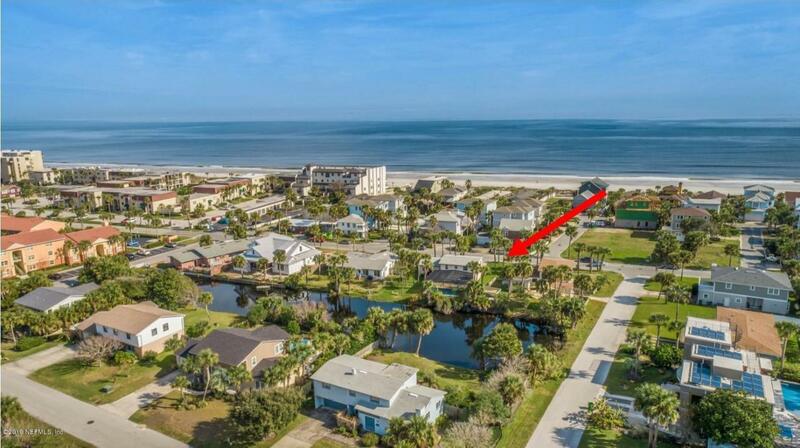 This is your opportunity to own a large waterfront lot just one block from the beach! Renovate the existing home or build your dream home on this huge 80 x 114 lot with the pool already in place! Just steps to the beach and minutes to the best dining and shopping the beaches have to offer, this home proudly sits at one of the best locations at the beach! With concrete block construction, a newer roof, windows and HVAC system - you could easily renovate this home and make it your own! Or bring your builder, or use our custom builder, with our lender financing and build your custom dream home! The possibilities are endless for this highly desirable location. Beach sunsets, bike rides and oceanfront walks are within your reach. Make your appointment today!